College of Theatre Arts, Pasadena Playhouse. Air medal with three oak leaf clusters. European campaign ribbon with two battle stars, Purple Heart. June 17, 1944, eleven days after the Normandy Invasion, shot down over German Occupied France in the middle of a german patrol and was slightly wounded by an 'excited' German soldier. Placed in Stalag Luft III in Sagan, Germany, the British compound, from which the "Great Escape" was made earlier in the year. Some of the british POW's had been there for five years! They were well organized and had built a theatre for plays, debates and orchestral concerts.The orchestra was excellent and they needed a bass man. I joined immediately! I had been a musician before the war (bass and guitar). There were about 2500 RAF Officers and a few hundred American Air Corp Officers. The British asked the Americans to put on an 'All American' play and we did ! I played Hildy Johnson in "Front Page"... my first acting job. The Russians got close in January, 1945 and we were marched out to a camp near Nuremberg. A few weeks later General Patton got too close and we were marched out again and headed for Moosberg. I escaped on that	march hoping to reach Switzerland .... Two weeks later I was recaptured and sent to the camp at Moosberg. Only there a few days .... Liberated by Patton's tanks on April 29th. After graduation from Pasadena Playhouse - cast in the role of Buzz Corry, Commander in Chief of the "space patrol". 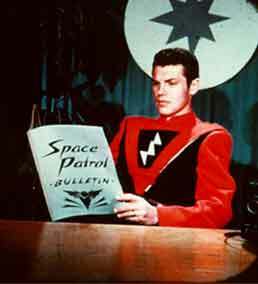 1950 - 1955 : Space Patrol, ABC (TV and radio). 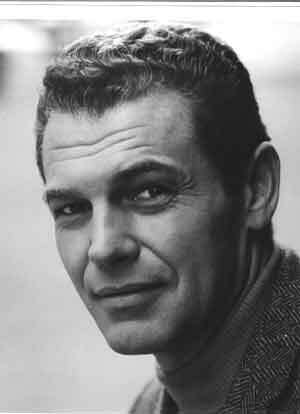 1955 - 1964 : Leads and featured roles in most all prime prime TV dramas. Also lead on new west coast soap "Clear Horizon" (2years). 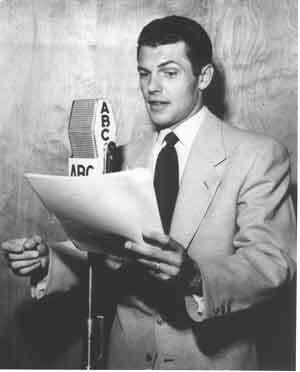 In 1964 was cast in a New York soap "Edge of Night" and I've been a new yorker ever since. Perry Mason,Gunsmoke, Wanted: Dead or Alive,The Rebel,Track Down, Combat,Jane Wyman Show,Lux Video Theatre, Rawhide,The David Niven Show, The	Twilight Zone,Silent Service.